It has taken a little while, but finally my ALL IS FULL OF LOVE rework for Marc Collin’s Bristol and the wonderful Yasmine Hamdan has found its way to Spotify, Itunes, Amazon and all other platforms. Share, like, playlist, buy, click, all is full of love!!! Gleich drei meiner Kollaborationen mit Falk Richter werden in diesem Jahr in Paris zu sehen sein. Das Schauspielhaus Hamburg bringt AM KÖNIGSWEG im Februar ans Odeon. JE SUIS FASSBINDER wird erneut wieder aufgenommen, diesmal für 3 Wochen im April am Théâtre du Rond Point. Und unser I AM EUROPE geht jetzt von Strasbourg aus auf Europatour und ist dann vom 18. September bis 11. Oktober ebenfalls am L’Odeon zu sehen. These few days in Albania have passed incredibly fast… We had a fantastic time, playing for a lovely audience at Tulla Culture Centre Tirana, as well as (very spontanously and literally unplugged) live on albanian television… Thanks to everyone we met and faleminderit, Tirana – it really was a pleasure! I am happy and honoured to join my friend Fatime Kosumi aka Andrra for a stripped down voice & electric guitar set featuring some of the wonderful songs off her debut EP “Paline”, live at Tulla Culture Center, Tirana (Albania) on 11 October 2018. 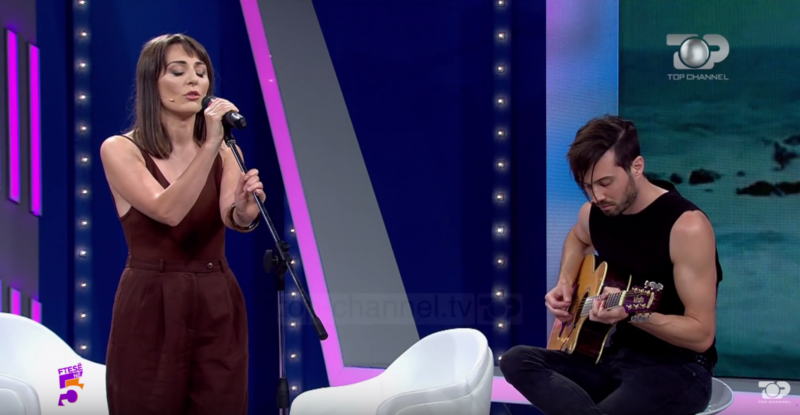 A few years back we worked togeter on her debut single “Temena”, which we also performed live for this tv thing back in 2015. MARS von Marius von Mayenburg… wieder zu sehen am Schauspiel Frankfurt am 14/24/25 Oktober, sowie am 4 November 2018. While Michel Auder’s video work TRUMPED (for which i contributed the soundtrack) and his exhibition And virtually everything said has been said incorrectly, and it’s been said wrong, or it’s been covered wrong by the press is still on display at Martos Gallery in New York, you can read a very interesting review of the work on hyperallergic.com… and another one on Frieze. 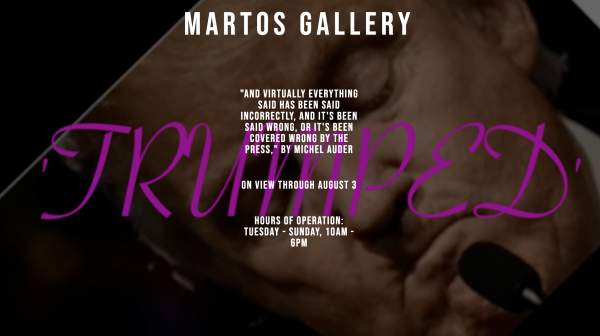 Last year we worked together on the production Am Königsweg with Falk Richter, and now i am glad and honoured to have contributed the soundtrack to Michel Auder’s new movie TRUMPED at his new exhibition, opening this weekend at Martos Gallery in New York! Vor kurzem habe ich eine volle und laute Minute Musik für das Schauspielhaus Hamburg gemacht. Jetzt gibts dazu jede Menge Psychopsychedelia. Der Spielzeittrailer 2018/19 ist fertig! Visuals: Rocket & Wink.